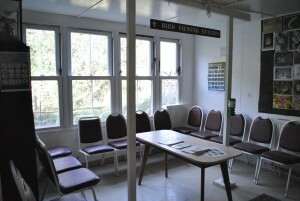 There is plenty to see in the Field Study Centre which has FREE entry. You will find geological, palaeontological and archaeological displays in the Frenken Room (named after one of our benefactors). 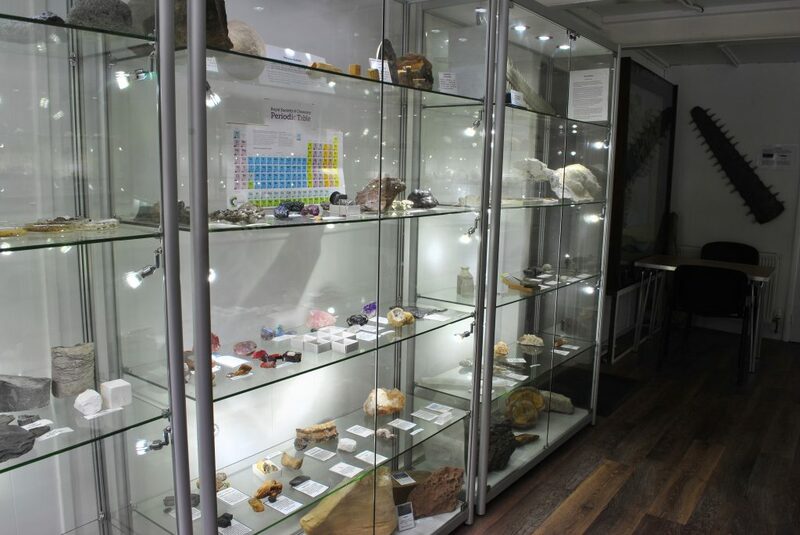 The rocks, minerals and fossils on display are from the Mesozoic and Cenozoic Eras, and Pleistocene Epoch. Fossils include ancient sea life and petrified wood. The archaeological exhibits include some bone implements, Stone Age flint tools and some Roman artefacts, many found locally. There is an extensive collection of animal skulls and bones, along with real dinosaur bones, mammoth tusks and teeth, and sawfish rostra. The Frenken Room is a great area for visiting schools, where children can learn about dinosaurs, adaptations and geology. To find out more, please visit the Education page. 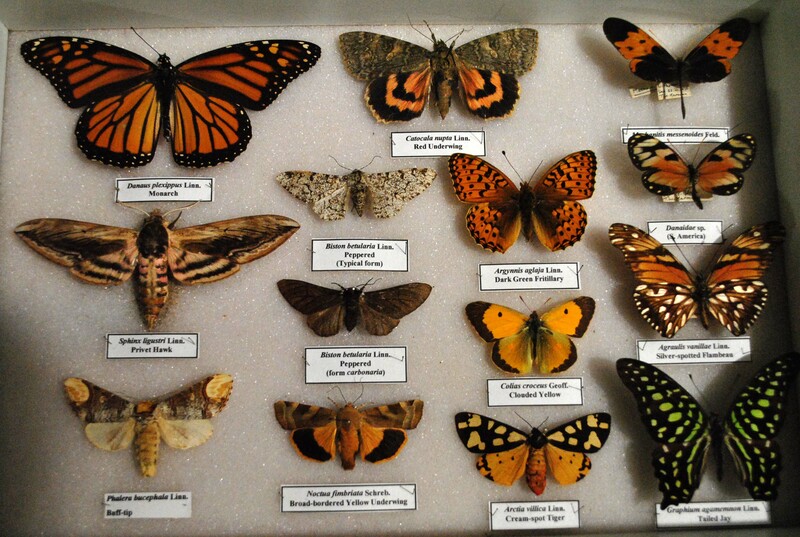 There is a separate Natural History Museum in the Centre, where you will find displays of butterflies, moths, spiders and various exotic insects. 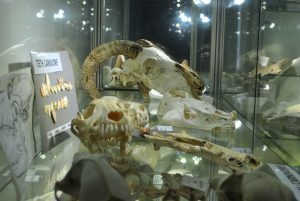 Some of the exhibits are available to touch, allowing visitors a hands-on experience: the skulls are especially popular with children! In the bird viewing area, you can sit behind the tinted glass of the windows, and enjoy watching a variety of birds as they visit the feeders situated in the secluded area behind the Field Study Centre. 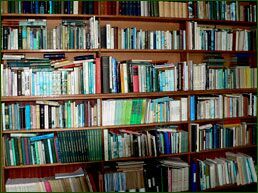 You will also find here a large selection of second-hand books specifically about birds. Feel free to browse if you want to use them as a reference for some of the birds you have seen. You can also purchase any of these books, with the proceeds going to help Thanet Countryside Trust in its running of the Reserve. We have almost 8,000 second-hand books for sale, both fiction and non-fiction. 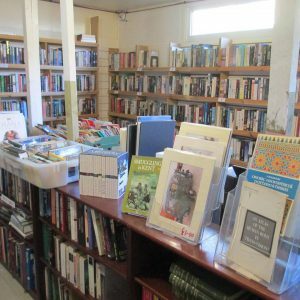 Find out more about our Second-Hand Bookshop. The Cabin is our new extension to the Field Study Centre. In general day to day use, the Cabin will be where visitors can purchase drinks and snacks. The room can also be used for talks, presentations and as a classroom for visiting schools. For more details, follow this link to The Cabin. One of the benefits of being a member of the Reserve is having access to the Reference Library. A large amount of natural history reference material is available for those members who wish to delve that little bit further. The library also has a large number of books on local history.